Dieter Rams, of Braun fame, is one of my all-time favourite designers. I’ve bought many of his products over the years and love his ‘Ten Principles of Good Design’. 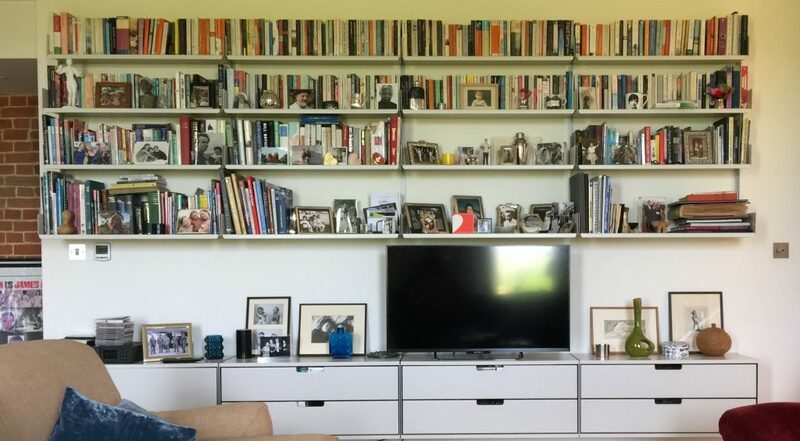 Back in 1960, he designed the Vitsoe 606 Universal Shelving system, which is still in production today and has become somewhat of a timeless design classic. It has three interchangeable structures so it can be wall mounted, semi-wall mounted or compressed between ceiling and floor if you have no wall nearby. 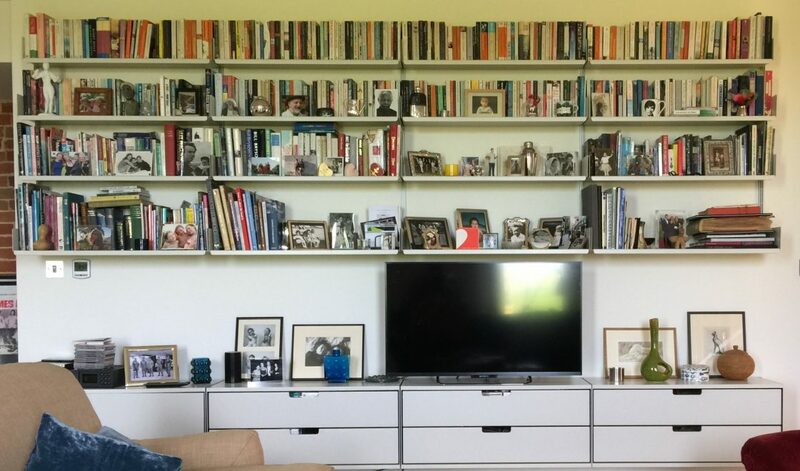 The shelving can be adjusted and extended to suit your individual and perhaps changing needs – so it can even move house with you! It is simple, unobtrusive and as unassuming as possible. But it is undeniably useful and works so beautifully in my barn that we have it in my study and in our sitting room. Like all of Ram’s products, the 606 Shelving is long lasting, useful and is ‘as little design as possible’.